Weekend is coming soon. Are you ready to create something new for your family meals? 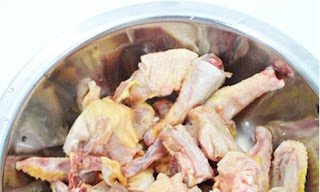 Have you ever thought that you can combine chicken and coca for cooking? The next dish I want to introduce today comes from many stunning Vietnamese Chicken Recipes. 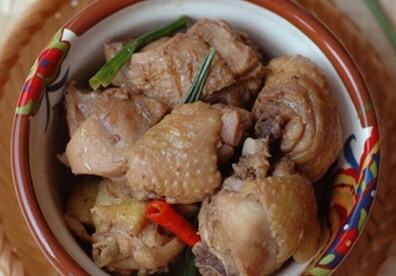 It is Braised Chicken Meat with Coca Cola (Gà Kho Coca). I bet you will be excited when cooking it. Do you want to cook one of stunning Vietnamese Chicken Recipes with us? If you do want, please follow our instructions below carefully. Enjoy with boiled rice is always a good choice in Vietnamese Meals. Let us start cooking right now. Step 1: Peel off the cover of carrot, clean and cut into short pieces. Step 2: Clean potatoes, peel off the cover and cut into 4 pieces for each. Soak into water added a little salt when waiting to fry. To create one of stunning Vietnamese Chicken Recipes like this dish, choosing potatoes is always important. Step 3: Peel of the cover of onion, slice into square shapes. Step 4: Clean chicken meat, chop into medium pieces and wait to dry. 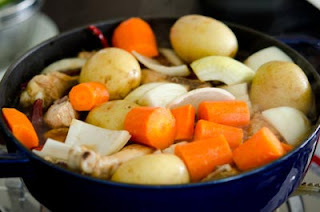 Step 5: Boil 500ml water and add chopped chicken meat into pot and cook about 15 – 20 minutes. 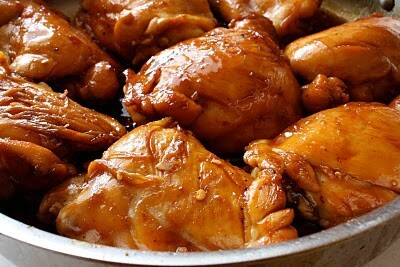 Next, put chicken on plate and wait to dry. Step 6: Use another pot, pour coca, soy sauce, white wine, garlic and ginger and stir well. Step 7: Next, add more chicken (in step 5) and cook. Sometime, you use spoon to scoop out dirty bubble on face to make this dish more delicious. Step 8: And the broth boils again, add more sliced carrot, onion and potatoes into pot. Stir well to make sure all spices absorb into ingredients. Step 9: Cover the pot and cook in 20 minutes in medium heat. Finally, your dish is ready to serve. Eating with boiled rice and hot soup can make you feel warmer inside. I bet you will not regret about this decision. Hope you love this dish and do not miss our spectacular Vietnamese Chicken Recipes next time. Good Luck for your Cooking.